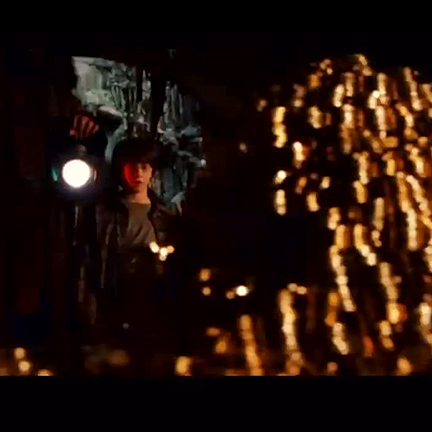 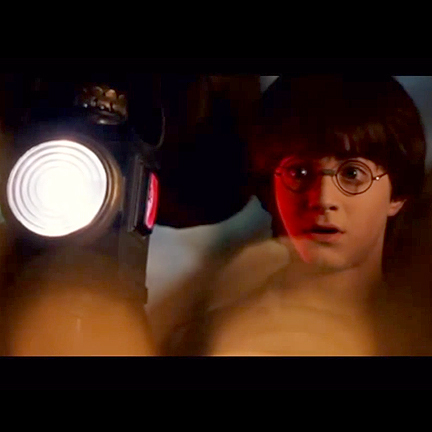 These items were used in the 2001 motion picture “Harry Potter and the Sorcerer’s Stone” directed by Chris Columbus. 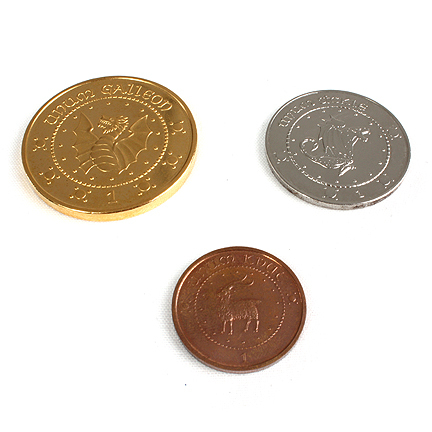 The set includes 3 coins, a large “Gold Galleon”, a medium sized “Silver Sickle” and a small “Copper Knute” as well as a pressed paper Bank Note which is blank. 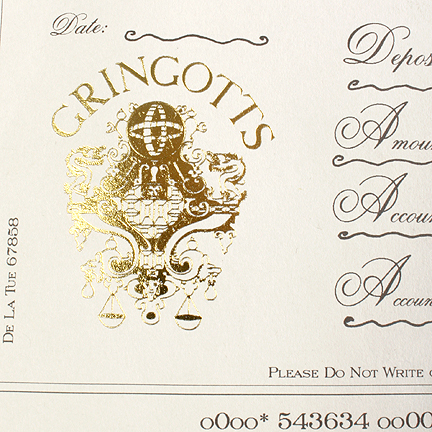 These items were acquired through Mike Edmonds, an actor who portrayed one of the Gringott Bank Goblins. 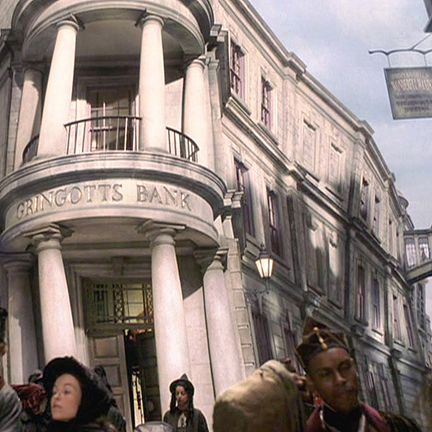 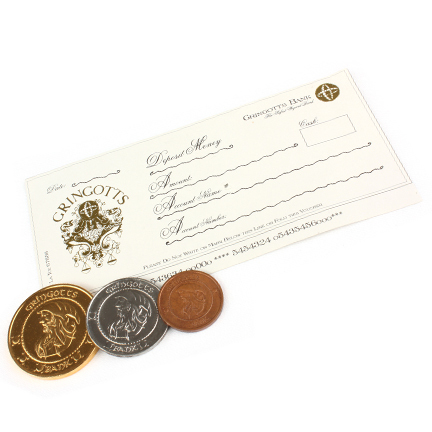 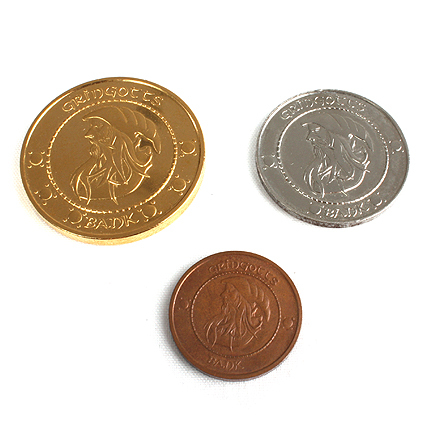 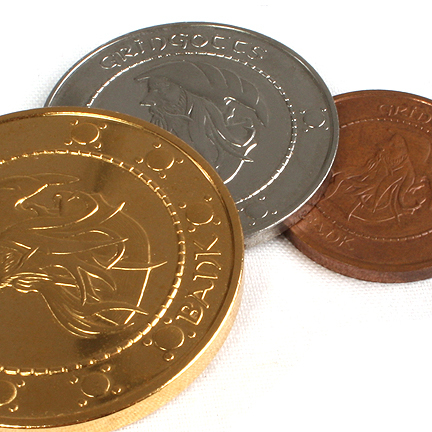 Mr. Edmonds states that he received the screen used coins after the filming of the first Harry Potter film. 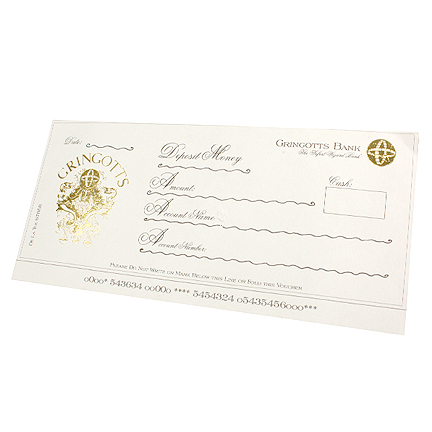 The items are in good screen used condition and are accompanied by a letter of authenticity from the actor.